At Curtain-Tracks, we carry a large variety of products. Obviously, we have the best selection of curtain tracks available in the industry, and we have all the necessary accessories to accommodate those tracks allowing you to complete your project. But did you know we also have some other very handy products that we think you will love? Let’s start with our bungee cords. That’s right, we have high quality bungee cords, and they are a bit different than the standard cord you would find at your local hardware store. Our bungee cords are a corded loop with a single hook. It is ten inches long and can stretch to twice its length. The one hook and one loop makes this bungee cord extremely secure. It allows you to connect the hook to the loop and eliminates slipping (and can also avoid injury). Available in black or white, these cords come 10 to a pack. Boat and RV owners love these cords because they keep tarps and boat covers firmly in place. Pick-up truck owners can use them for bed tie-downs, and car owners can use them for their car covers. 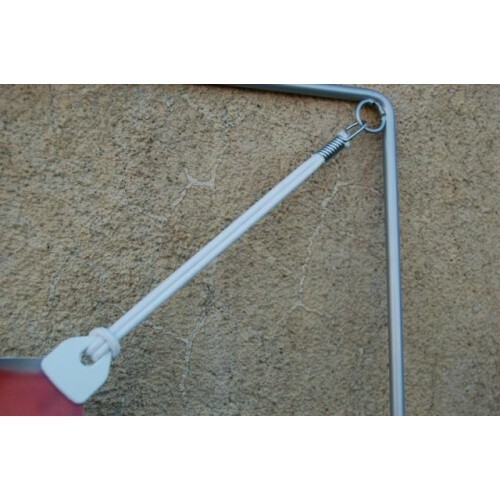 Bungee cords are also useful to hang banners, store signage, and for use with tents. Speaking of store signage and banners, our EasyKlip Banner and Tarp Clips are another unique product. Like all our products, they are high quality and work nicely with our bungee cords. They grip banners, tarps, clear poly, velour, muslin and countless other materials and fabrics. They are designed to increase the grip as the load increases making it the strongest clip on the market. They are available in black or white and come 10 to a pack. When you think of www.curtain-tracks.com, think beyond the tracks and drapery hardware and accessories. You just might find a product that you’ve always been looking for!